There are many different examples and definitions of what cross-selling really is, but it is best to think of it as a sales rep having multiple products or services to offer to a client. ABM has the ability to rapidly accelerate the amount at which you and your team are able to do this. ABM has the best ROI applied on ongoing sales and new accounts, and this is great news, but what if you could continue to grow that ROI on your already existing accounts? The Pareto Principle (the 80/20) rule states: you should be getting 80% of your revenue from 20% of your clients. Because of this fact, if you already have loyal accounts, selling a relevant service to other branches of the company is easy because of the very anatomy of ABM. ABM allows us to grow a network inside of each accounts we are working with, so we know exactly what each company is interested in. With cross-selling, it is important for marketing and sales to be very in touch. While sales need to think of ABM as more than just getting sign ups, marketing needs to be alongside them through and through – not just to create contact, hand the account to sales, and then forget about it. 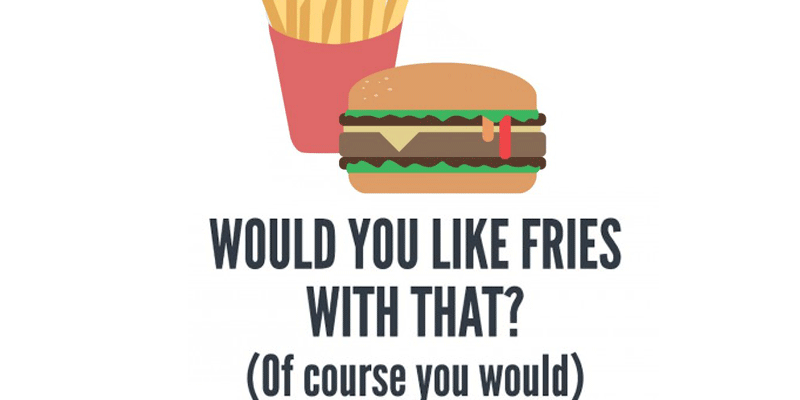 Just as the teen selling us a burger and fries knows that you are in that Ideal Customer Profile (ICP) to likely add fries to the order, ABM helps us identify the accounts to make first contact with, and to identify the other services and products that a pre-existing account may be interested in. So, what do you think? Would you like fries with that burger? Are you ready for more ABM resources? Check out our blog and white papers!